Started in 1989, the Carthage Buggy Festival is a celebration of the rich history of Carthage, North Carolina. 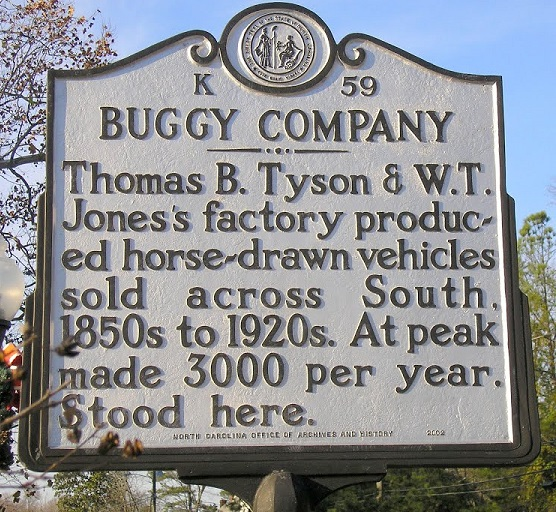 The Buggy Festival is held each year to commemorate the famous Tyson and Jones Buggy Factory that, from the mid-1800's to the 1920's, produced the carriages that were essential to life in rural North Carolina. On Saturday, May 12, 2018, the 30th Annual Carthage Buggy Festival will be held in Carthage, located eight miles north of Pinehurst in the Sandhills region of North Carolina, and it promises to be the biggest and best yet. With an annual attendance of approximately 20,000, the Buggy Festival has grown into one of the biggest and best known festivals in the region. The Buggy Festival grew out of a suggestion that Carthage, the County Seat of Moore County, needed to stage an event that would draw attention to its history. Since the Tyson and Jones Buggy Factory had been one of the largest buggy manufacturers in the nation for over half a century, the focus on buggies seemed natural. But you couldn't have a buggy festival without a buggy, so where to find them became a burning question. A search began and soon samples of those early modes of transportation were found and purchased. Each festival since, has seen more Tyson and Jones buggies on hand for festival attendees to view as well as to ride. 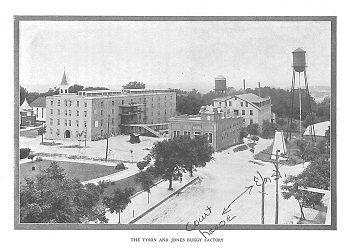 There is only one building remaining of the famed factory that flourished in Carthage until after World War I. A fire destroyed one building in 1905, and in 1976 the largest fire in the town's history claimed a small section of the remaining building. 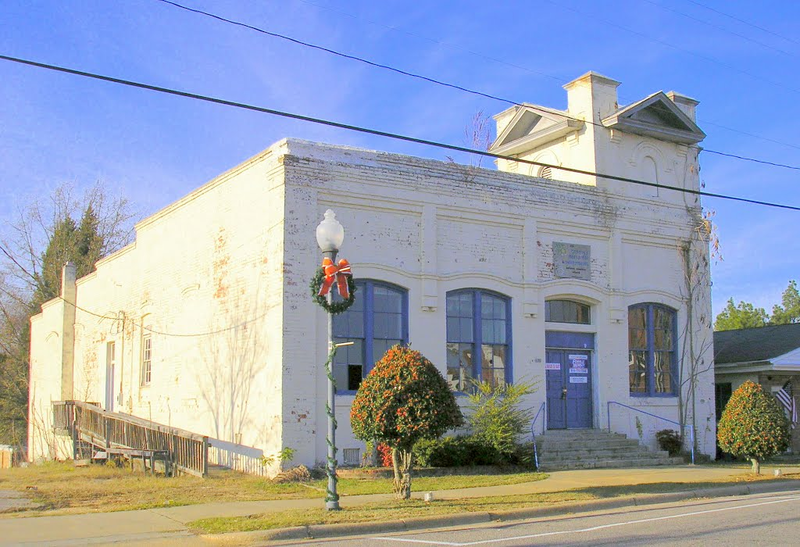 The town has acquired the one remaining structure and is working diligently to raise money to renovate the building. The Tyson and Jones Factory may have gone up in smoke, but from the ashes, its memory has been preserved. Each year, the Carthage Buggy Festival is an event people not only from Moore County, but surrounding counties and even surrounding states, look forward to with great anticipation. On Saturday, May 11, 2019 the Buggy Festival will be celebrating its 31st anniversary. Over 125 food and craft vendors will surround the Historic Courthouse from 9 a.m. - 4 p.m. A stage is set up in front of the Courthouse, and is host to a variety of entertainment, including cloggers and bands playing country, pop, rock and gospel music. To find out more about Buggy Festival events call (910) 947-2331 or email dvdutton.admin@townofcarthage.org or doltharp.admin@townofcarthage.org. Children's rides are always provided FREE OF CHARGE. An impressive display of buggies and historic tractors can be found, and one of the largest classic car shows in the area also takes place. Ms./Mr. Buggy Festival is crowned on Saturday during the festivities. Ms./Mr. Buggy Festival is nominated by the children at Carthage Elementary School. Children in kindergarten through fifth grades write letters about why their mom, dad, grandma, grandpa, aunt, etc. should be Ms./Mr. Buggy Festival. A winner from each grade is chosen and the students read their letters at the festival. Mr. and Mrs. Pinelake Nursing Home and Mr. and Mrs. Tara Plantation Retirement Home are also crowned. Most impressive of all, the Carthage Buggy Festival is planned, publicized, and staffed each year by a group of dedicated volunteers, including local leaders, business people, and citizens. To truly appreciate what the Buggy Festival means to the community and to visitors, it has to be seen first hand. Only then can you see the historic buggies, classic cars, and exquisite arts, crafts, and antiques; hear the sounds of bands playing; smell the aromas from the food vendors; and experience the joy and pride of an entire community celebrating its heritage. This is the essence of the Carthage Buggy Festival. Each year, the Buggy Festival Committee saves only enough "seed money" to get next year's festival started. The balance of any money raised goes back into the community.